Within the LEGO community we tend to glorify new part usage but not always unique MOCs that fall outside of the normal LEGO themes of space, castle, city, Star Wars, etc. 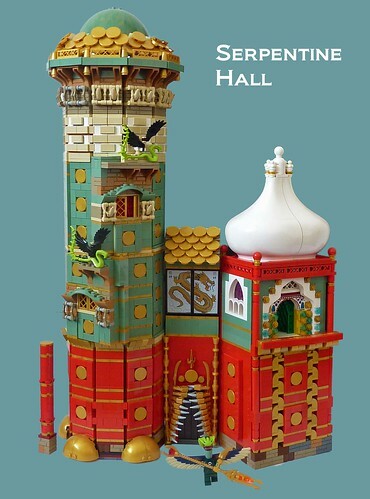 Builder robuko has succeeded in both NPU and building outside the box with his latest creation, Serpentine Hall. While technically a castle build for the ongoing Eurobricks Guilds of Historica building challenge this structure transcends the classic castle theme and really puts it into a class of its own.